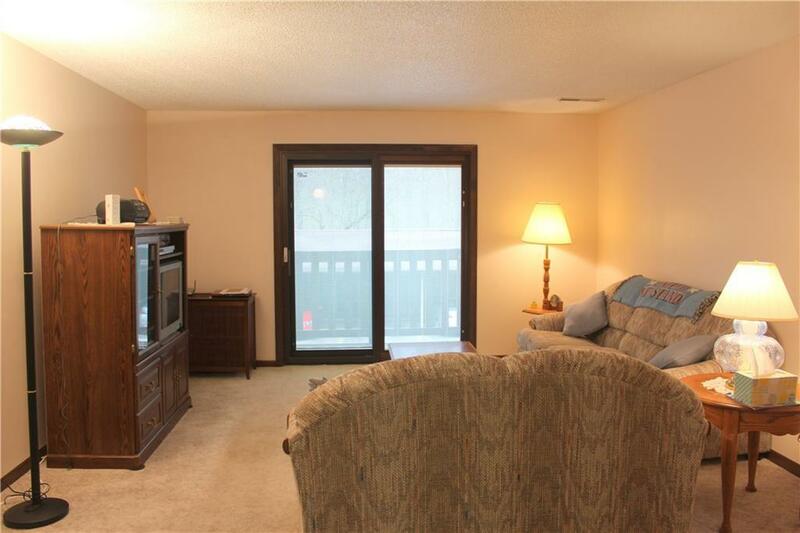 Adorable two bedroom, one bath condo on the second floor. Great layout with lots of space and storage. 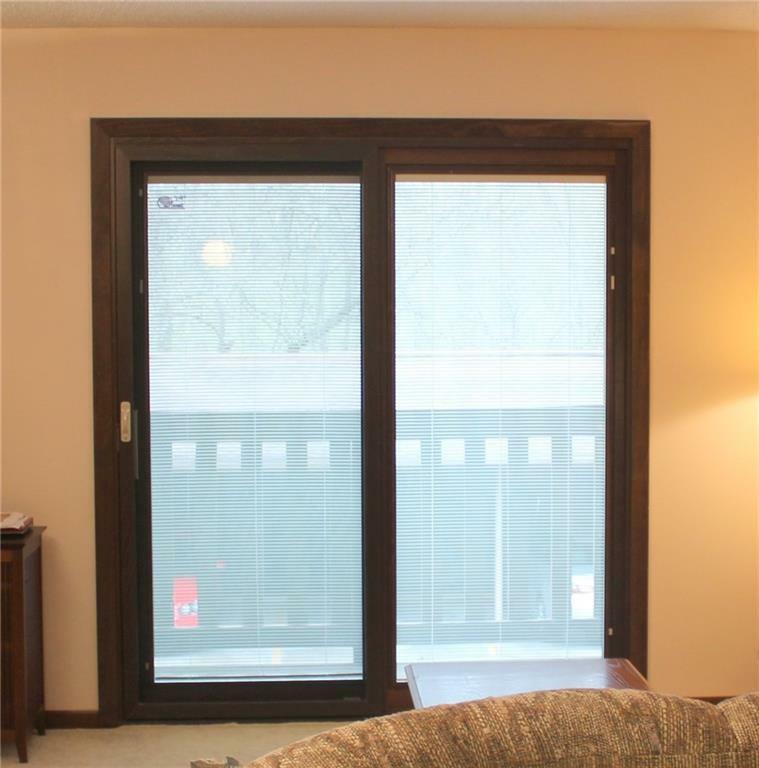 Living room has a patio door to small deck. Open dining area and kitchen with nice-sized pantry. Walk-in closet in master bedroom. 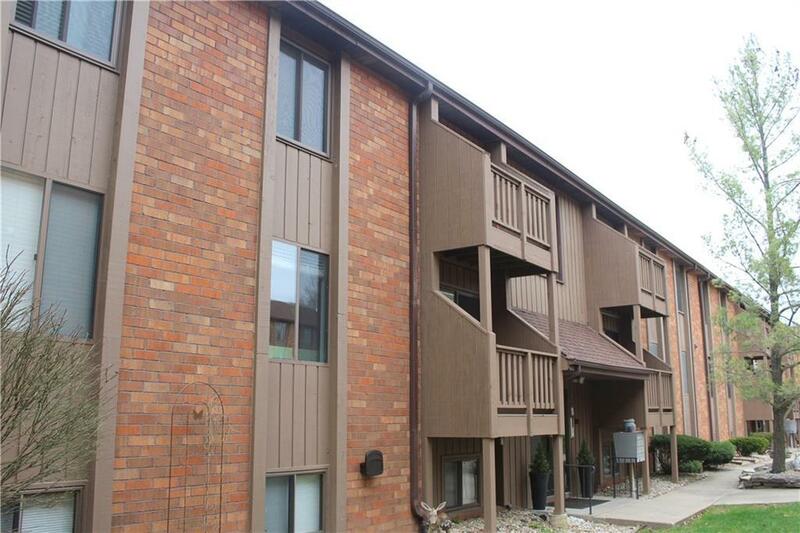 Updates include: fresh interior paint in January of 2019, the refrigerator within the past two years, and the Pella patio door with blinds within the past four years. The utility closet is in the hallway prior to entering the condo. There is a club room with kitchen that is available to rent and there is a community storage garage for extra storage if you have a bike, etc. Community laundry room is in the bottom floor of the building; however, this condo has a laundry room with full-length built-in cabinets accessed through the bathroom. Woodside Trail is very well maintained. 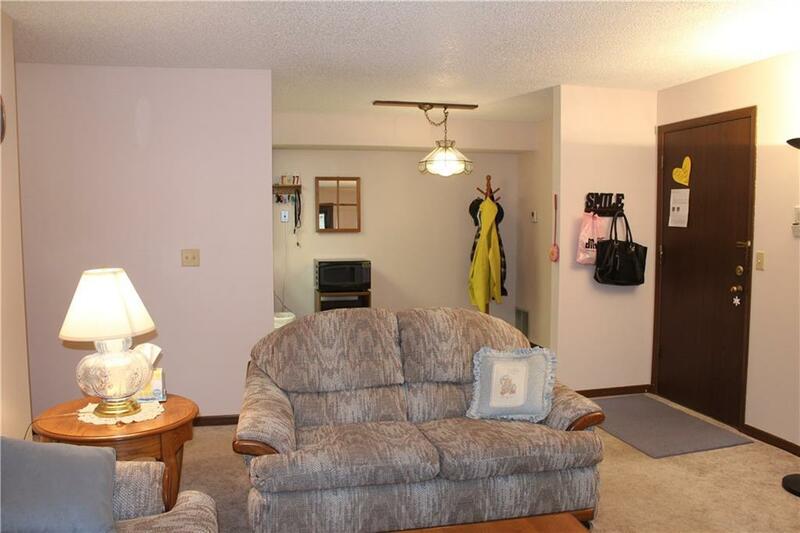 Association fee per month is $180.38: includes water, cable, snow removal, lawn care, garbage. Carport parking is available at additional expense, but there is a waiting list.